NASA gets the Kalonzo Musyoka replacement when he leaves. - Bana Kenya News, Real African Network Tubanane. Home featured Nairobi NASA gets the Kalonzo Musyoka replacement when he leaves. NASA gets the Kalonzo Musyoka replacement when he leaves. 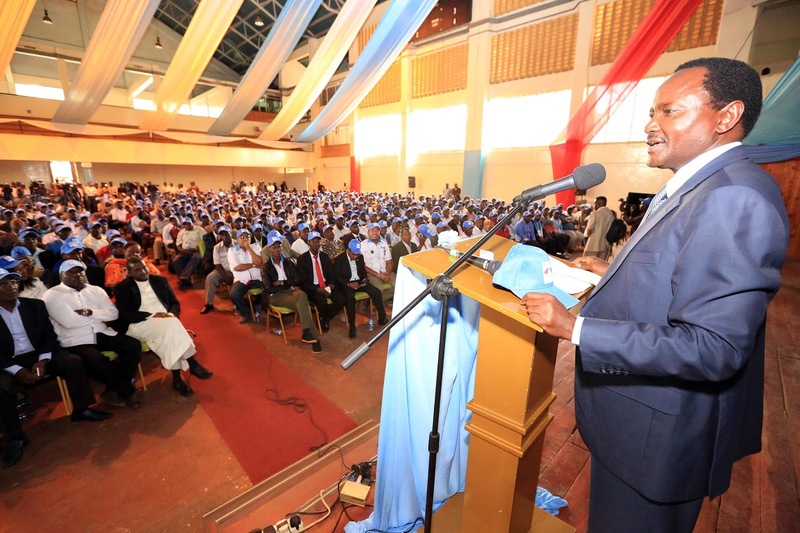 "The wiper leader Kalonzo Musyoka is a coward politician instead of remaining NASA so that he became the president in 2022 with an ease, he wants to jump out and stand alone with wiper. Anybody who will move out of NASA and stand alone will fail terribly in the August polls." Miguna Miguna said when he was in a Telephone interview. Miguna added that NASA now has the support and zeal of getting to statehouse if the principals remain united. The former Raila Odinga advisor claimed that the replacement of Kalonzo Musyoka in NASA need to be from the Coast and picked Hassan Joho as his interest. That is because Kalonzo Musyoka is currently the King of Ukambani and when he ditches the coalition then another King must be in place. Hassan Joho will be Miguna Miguna favourite candidate. According to some revelations from the opposition coalition, the parties are planning to take the Bomet Governor Isaac Ruto as the Kalonzo Musyoka replacement. The sources claim that the leader of Chama Cha Mashinani party and Bomet Governor will pick to maintain the four digit head in the coalition. "There are so many so many alternatives for Kalonzo. If he ditches the better because his people are as well stubborn. Let the people of the Eastern region vote for Kalonzo as the president but the rest of the country will be for either Jubilee or NASA." Says Kakamega senator Bonny Khalwale. Ther is a lot of heat in the opposition coalition as mentioned by the ANC leader Musalia Mudavadi. Mudavadi tried it alone and he became number three with less than a million votes. The Jubilee government on the other side are using the close allies of Kalonzo Musyoka to frustrate him and break the coalition for them to find an easy way of winning the August polls.